"Mom, I've Always Wanted to Tell You" Journal Only $14.99! 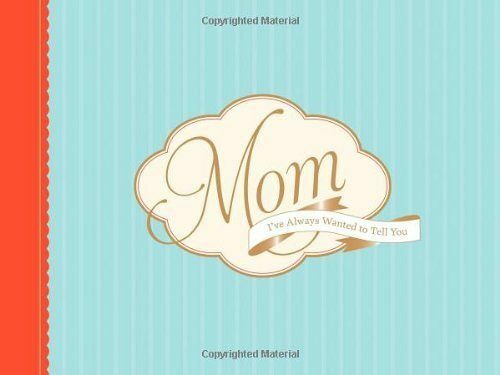 You are here: Home / Great Deals / “Mom, I’ve Always Wanted to Tell You” Journal Only $14.99! “Mom, I’ve Always Wanted to Tell You” Journal Only $14.99! From your first sweet steps to the time she taught you to drive, your mom has been by your side for the most significant moments in your life. Share those memories with her in this wonderful keepsake journal. The “Mom, I’ve Always Wanted to Tell You” Journal for Only $14.99 will make the best present you’ve ever given her. Get it now, so you have time to thoughtfully assemble your memories in time for Mother’s Day or for her Birthday!